Today’s post was written by Koen Timmers, an adult education teacher in Belgium. I teach computer science and web design to adults in Belgium. My teaching goals are to create a paperless classroom and motivate students. By implementing collaboration during my lessons and offering project based learning, I am able to help students meet their needs and interests. In addition, I’m in a blended learning project, meaning that my students attend half of my lessons at home via Skype for Business. OneNote meets the needs for both me and my students, and today I am pleased to share some insights into how I use OneNote in my classroom. I strive for a paperless classroom because paper documents become quickly outdated; they are not eco-friendly and lack interactivity. To move to a paperless classroom there were some issues I needed to overcome, such as working with outdated courseware and difficulty sharing courseware. Since I offer project based learning, my courseware needs to be on point at all times. From the moment a student requested some extra information, I needed to offer appendices. In addition, I had lots of documents and my digital textbook didn’t include my agenda and other important information. Students had to search through 20 different files to find information they needed. Finally, some students prefer to watch a quick-tip video or listen to audio. I decided to implement OneNote in my classroom. I use one OneNote Class Notebook, shared with three different classes, and I create my digital textbook as I teach. My students collaborate in the OneNote Class Notebook, allowing them to share resources, comments, requests, remarks, feedback and questions. While Danny posts a question, Stefan is adding some great sources of inspiration and Vanessa is solving Danny’s question. The OneNote Class Notebook replaced an outdated print textbook. But that was only the start of a whole new process. My students began to spontaneously create and share tutorials. So now the OneNote Class Notebook contains both the theory, which I add, as well as insights and sources of knowledge from students. My students are learning from each other and even I’m discovering new ideas in their notes. In a recent student survey given at the end of the semester, where students were asked for feedback about the digital textbook and the use of OneNote, 55 percent marked OneNote as “very good” and 32 percent as “good.” Nobody disliked OneNote. 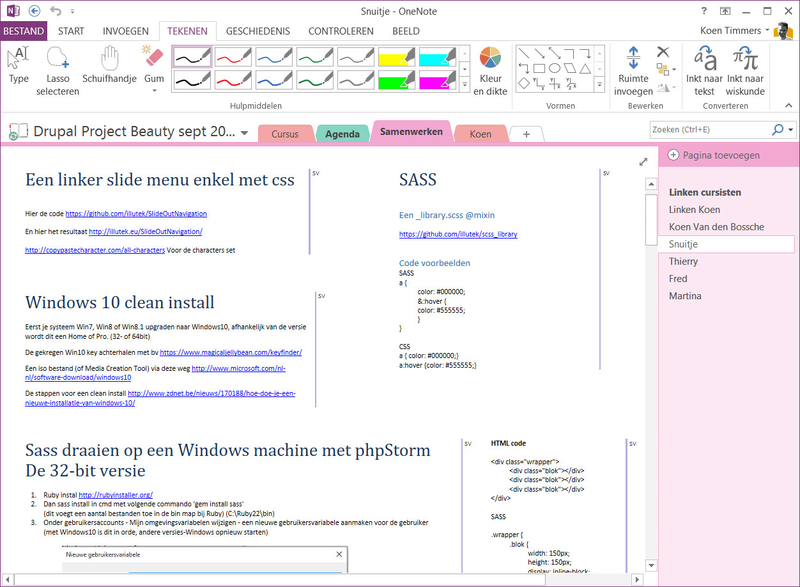 OneNote is structured, contains all the needed information and is easy to search for information. The full color in OneNote makes OneNote Class Notebook easy to view code snippets. OneNote Class Notebook is always completely up to date and to the point. The OneNote Class Notebook can be accessed from anywhere, anytime and allows students to add requests and notes. One of my students, Grace, went to Hong Kong for six weeks and thanks to Skype she was able to attend my class live. Using OneNote she had access to the assignments and all information. Feel free to take a look at our OneNote Class Notebook. Meet Fred, my oldest student (81), who lives in Holland and travels 1.5 hours to attend my class. 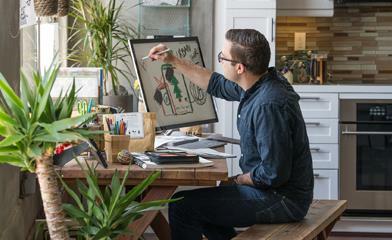 He is a retired Air Force pilot who now fills his free time creating websites. Thanks to OneNote he managed to increase his HTML and CSS skills during school holidays. Before OneNote, some students were taking pictures of my notes on the blackboard. This made me realize something had to change. I started to use OneNote and made the same notes using a digital pen on a Microsoft Surface and was able to retire the blackboard, chalk and eraser. Save and reuse notes in other classes and share via email, cloud or shared documents. Scale and move notes within the OneNote Class Notebook. Create clear notes that are easy to update and erase. Use color and background pictures. No need for chalk anymore; the blackboard is inside my OneNote textbook. Correct homework—Using a digital pen, you’re able to correct homework or assignments. The student can even get live feedback in a shared OneNote document accompanied by a sound clip or a video. Annotate while creating screencasts—New tools like Office Mix, Snip and Edge browser allow annotating while creating screencasts or saving notes on a webpage. These annotations will bring clarity and more focus on the subject. Brainstorm on a whiteboard—Using the whiteboard allows students to be involved, organize thoughts and to brainstorm. Some weeks ago, I created a video game. I first created a flowchart of the levels. Next, I sketched the visuals—the hero, sea, platforms, clouds, mountains, etc. 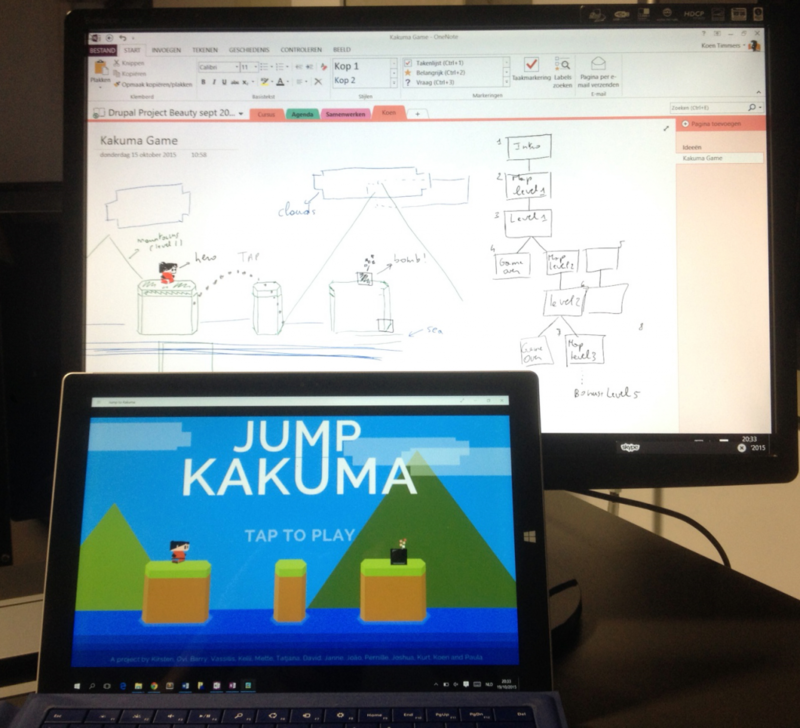 While I created this game, I got help from fellow Microsoft Innovative Experts. Francisco, in Brazil, helped me design the levels and Miriam, in Germany, tested the game. The goal of creating this game was to collect funds for Project Kakuma. During this project, a group of 20 Microsoft Expert Educators offered support via Skype to hundreds of African refugees in Kakuma camp. While coordinating this project, we used OneNote to collect data and keep each other up to date. 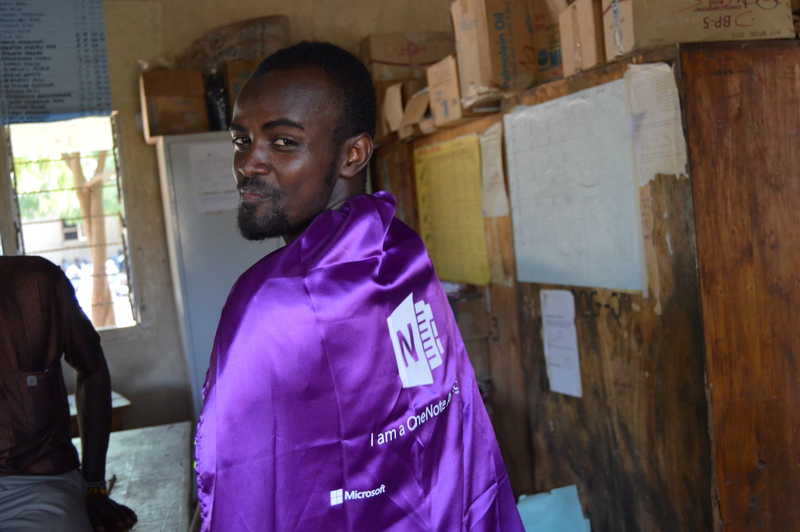 The project is ongoing and resulted in the first OneNote Avenger in Kakuma Refugee Camp: Abdul. You can sponsor our project by acquiring our game that works on Windows 10 and Windows 8 devices. Visit www.projectkakuma.com/game for more information. Using OneNote in my classrooms daily inspires me.